At our first Brownie meeting way back in September, the first meeting for this brand-new unit, my fellow Guider and I actually had to make a rule that no one was allowed to ask another question about camp until the end of the meeting. If we had let it continue, the entire camp would have been planned out by the end of the meeting… or at the very least; everyone would know a good amount about camp but nothing about Brownies. In short, the answer to the question above was a resounding TO CAMP for our unit. We were taking the girls camping whether the Guiders wanted to or not. However, these Guiders wanted to camp. 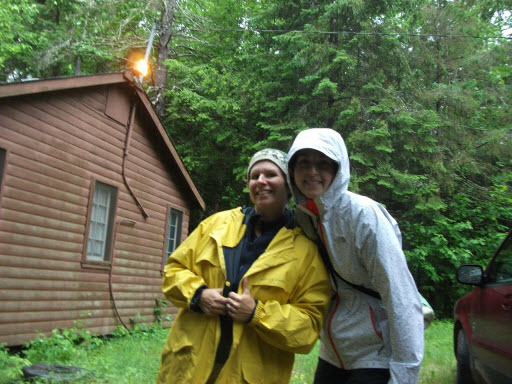 If I get right down to it, it’s my background in summer camp that brought me to Guiding. 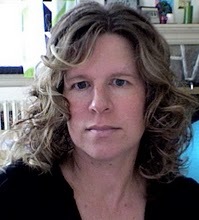 As I’ve mentioned ad nauseam, I was never in Guiding as a girl but I was a seasoned camper and counselor and canoe instructor and out-tripping leader. I spent all summer, every summer, from 1987 to 1991 at a wonderful Muskoka summer camp (shout out to Camp Mini-Yo-We! ), and it made me who I am today. Camp still pulses through my veins. I had zero reservations about taking a small group of 7 and 8 year-olds to a one-night Unit camp. Especially since my Guider-in-arms, Julie, had spent many weeks at her local Quebec Guiding camp (Wa-Thik-Ane) growing up. We teamed up with another local Brownie unit, booked our buildings at Camp Woolsey, chose our theme (the Queen’s Jubilee), made our menu and lists, divvied up jobs, chose games, bought craft supplies, made more lists, drew up a kit list, collected money, and made more lists. It was a lot of work. A lot more work than showing up to a summer camp that has big lodges, scads of volunteer cooks and maintenance staff, full-time camp personnel, waterfront directors, sailing and canoeing directors. It was more like a half-way point between the full-throttle summer camp I was used to and taking kids out on a canoe trip. We stayed in a lovely building. We had a big kitchen. But we had to do everything for ourselves (I know this isn’t surprising for any of you veteran Guiders or former Girl Guides… but it was to me). That equals a lot of work and a lot of responsibility. 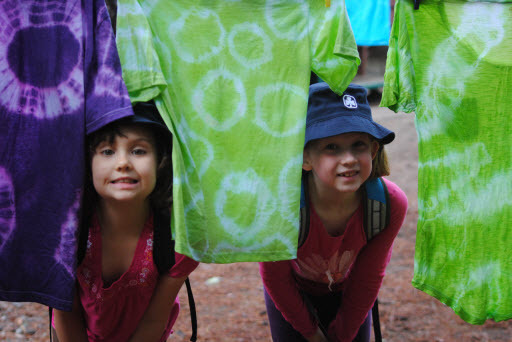 It was worth it because camp (whether tenting or residential) offers us the chance to have an intense outdoor experience with our girls that we can’t get in our weekly Unit meetings. At camp we are eating, working, playing, sleeping, laughing (and sometimes crying) together. We’re exploring and discovering and getting dirty together. We’re getting rained on. We’re being bombarded by bugs. We’re seeing ravens in the trees right beside our building. We’re spraying each other with tie-dye water. We’re wearing fascinators while collecting fire wood. We can do this in bits at our meetings but it doesn’t compare to a full 36 to 48 hours of doing this side-by-side. Funny things happen at camp that you’ll talk about together for years to come. Memories are made. Bonds are made deeper. And it isn’t just due to the time spent together. It’s also due to the place. The trees, the water, the stars, the fires. Just as it was for me in my teenage years, it’s the smell and taste and feel of being outside together that makes these memories more significant and more special. I know that camping isn’t for everyone. If you aren’t interested in cooking over an open fire and sleeping in tents, book a building at your local Guide camp. Pamper yourselves. Have a spa theme. You’ll be exhausted. You’ll work really hard. You’ll wonder before you go, why you’re doing all this for a 36-hour experience. But go. You’ll be so glad you did. And your girls will thank you for the rest of their lives. As an end-of-career Guider said to me recently: giving your girls a good first experience at camp will stay with them for a lifetime. And they will always remember that you were the one that first introduced them to camp. A huge thank you to Karen for writing this blog series for us on GirlGuidesCANblog so that other new Guiders could hopefully learn from! Yours in Guiding, GGC. 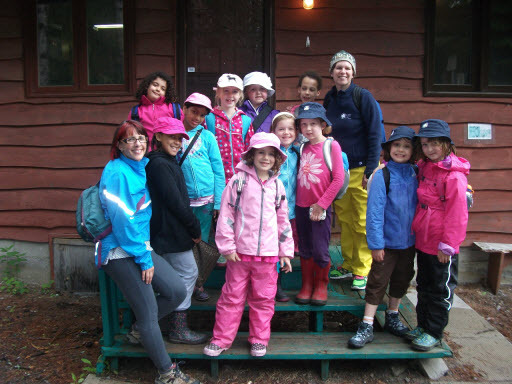 This entry was posted in Girls' Guides and tagged camp, female role models. Bookmark the permalink.